We've found 7 possible causes accountable for the issue, together with relevant tweaks to help you fix it. Hopefully by doing so you can speed up the boot a little bit, and spend the time getting more work done. Nothing slows down a Mac more than having loads of apps and services automatically launching when you press the start button. If you can reduce the number of auto-startup items, you'll be sure to wait less time, and your Mac will perform better too. Login items are those applications that run automatically once you log in. To check and disable those unnecessary items, click Apple icon > System Preferences > Users & Groups, now click on the Login Items tab (it's right next to Password). Then select those items you don't need to open up on startup, and click the minus "-" symbol. 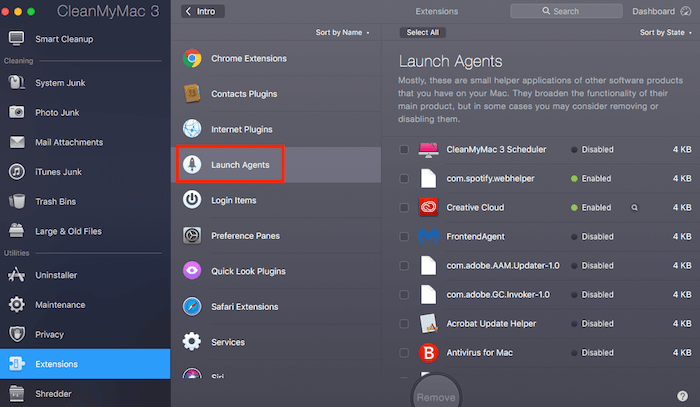 Meanwhile, don't forget those launch agents (aka, app services that auto run and show up on Mac menu bar). For example, AmazonMusic, Adobe CreativeCloud Helper, etc. When you install an Amazon or Adobe app, its helper services are often pre-installed too. The worst part? They don't show up under Login Items. If you can lighten the Mac drive and delete those unnecessary files, for example, system junk, d﻿﻿uplicate files, unused third-party apps, etc., that will help optimize your Mac startup. For instance, you can uninstall Mac apps that get barely used, remove﻿ duplicates and similar files, transfer large old files (especially movies and photos) to an external drive for backup, clean web browser junks, and empty Trash, etc. If you are new to Mac, we also recommend using Dr. Cleaner for efficiency. 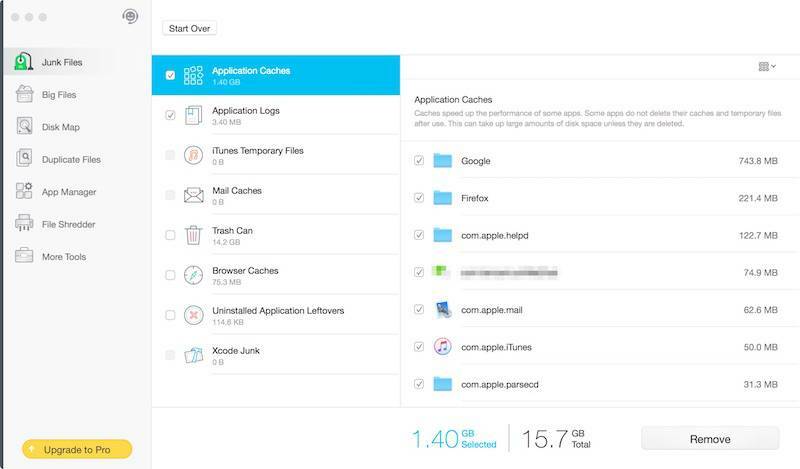 It's an intelligent app primarily designed to clean up Mac disk the quick way so you save time doing so manually. You'll be amazed by the number of unnecessary files it finds. Don't be fooled by the "Upgrade to Pro" button. The app is actually free to download and use. For cleaning, the "Junk Files", "Big Files", and "Disk Map" modules are totally free without any function limitations. Try it yourself. Be honest, how many peripherals you have on your Mac now? If you use your iMac or MacBook as a hub for everything, chances are it's now surrounded by a number of things like USB hub, printer, scanner, portable SSD drive, iPhone charger, etc. So, it's best to connect the device only when you need it. Also, don't forget to check relevant settings and software related to the device you use, all to make sure they are properly set up and up-to-date. NVRAM, short for "Non-volatile Random Access Memory", stores many pieces of information a Mac needs before it loads Apple's macOS operating system. If the values in this memory get out of order for some reasons, your Mac wouldn't start up correctly — one of the typical symptoms is your Mac takes forever to start up. Here's how to do it. First, shut down your Mac, press the start key (or button). Then quickly hold these combination keys: Command + Option + P + R, right after you hear the startup sound. Then release the keys when you hear the sound for the second time. That's it! You can also watch this video for how. Tip: the video uses a MacBook Pro as an example. If you're on an iMac or Mac Mini/Pro, the process is exactly the same. Sometimes errors can hit Macintosh HD (or SSD), especially when your Mac shows its age (prior to 2012 models). If that applies to you, your Mac's hard drive may act up, and the overall system performance is taxed. In this case, it's no surprise that the startup time will be affected. If your Mac is running with OS X El Capitan, macOS Sierra (or High Sierra), you won't see the two buttons, instead, just click First Aid and it will tell you whether disk repair is needed or not. It is in my experience that when I perform a macOS upgrade, my Mac machine boots up a bit slower though it's not always the case. For example, it was super slow when I updated from Sierra (10.12) to High Sierra (10.13). However, my machine was totally fine while upgrading from macOS 10.13.1 to 10.13.4. So, I guess major OS update will slow down boot time. Every technology has its lifespan and eventually it will fail. Hard drives are no exception. If your Mac is not only slow on startup but sluggish on almost everything. More often than not, it's time to ﻿check Mac dri﻿v﻿e health to get a sense of the chances of drive corruption, and gauge how long the disk will stand. Replacing the spinning HDD with a new SSD is perhaps the best way to speed up an old Mac, and significantly improve the startup time. There are many other benefits using an SSD versus an HDD, we won't elaborate here as you can read more from this a﻿﻿rticle we put together. Okay, these are the 7 possible reasons and fixes for troubleshooting the Mac slow startup issue. Hopefully you've tried some of them, and have tuned up your Mac.